Change the name of these threads from Group builds to Facebuild?? Did a try on a Campaign ribbon. It contains the name of the campaign(RESIN II) as if molded in resin and the year(2018) as part number on the casting block. I prefer the black background. I would like to suggest small notches in the casting block under the letters in RESIN. Similar to the gap between RESIN and II but only half as wide. I hope this would emphasize the letters a little. I've also increased the height of the letters. I have this on order for the campaign. The relaxed Kaleun is a welcomed entry, Linus! Are going to strip it back and repaint it Linus? Looks like a nice figure. I love the relaxed pose. Something very different from the usual standing figures. I'll look forward to seeing your version completed. He He...I can only hope mine will look 1/10 as good as that photo when I have finished! Criel Model Trattrice Pesante Breda 32? 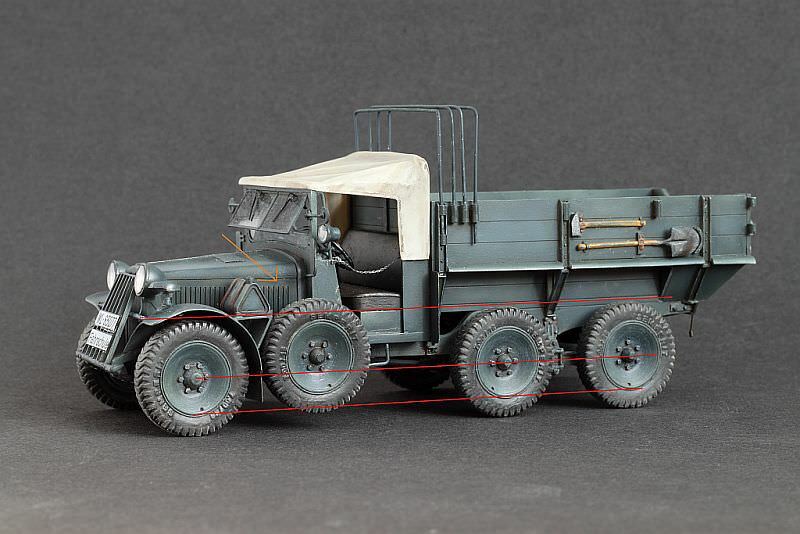 Or Customfactory ZIL-130 without cargo bay(part of SKP-9MV build)? With Angel's scratch building skills, probably not all that much of an issue - he'll probably rebuild most of the kit anyway! Those kits are not in my stash yet, so unless Hobbyboss or Bronco makes them in styrene I may need to get a resin kit. Frankly speaking-I am not aware of the problem Robin mentioned. I'll ask Kalin to allow me to take a look at the Steyr 640 he has in his stash. If I find a problem-I'll look for a feasible solution. I think the slope of the top of the hood from the windshield forward to the radiator cap is too steep in the model. The top of the hood on the 1:1 Steyr 640 was almost horizontal. 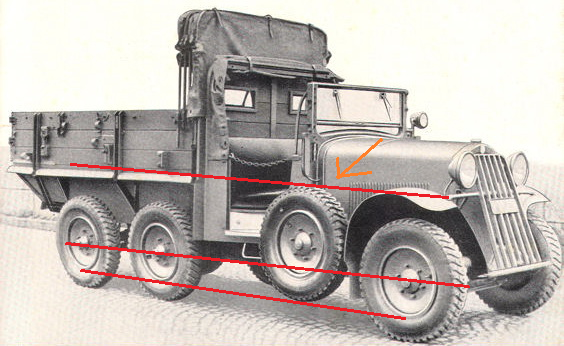 The vertical below the windshield is very low in 1:1 and a lot higher in the model. The whole hood is too low which means that the front grille and radiator are also too low. Rebuild the whole hood and grilles? Keep the fenders and the windshield and redo the rest? I see, Robin-thanks for pointing these discrepancies out. I'll have a Plus Model's Steyr 640 in my hands Friday evening and will check how the parts in question look in reality. 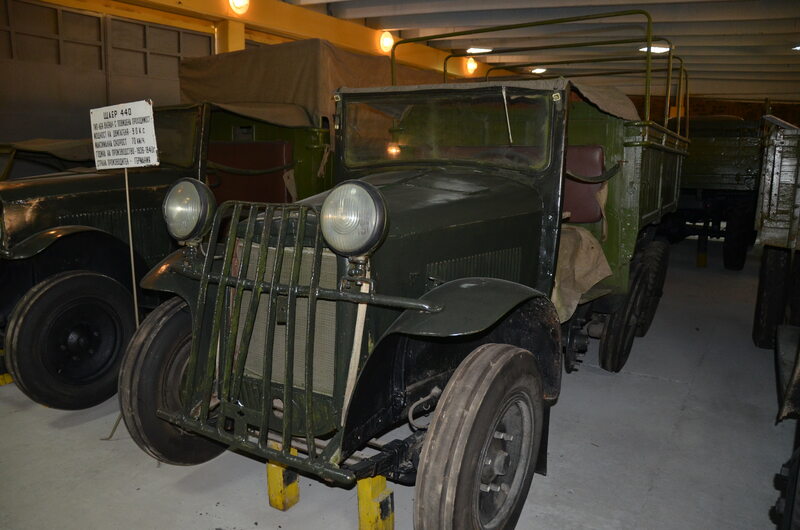 Further-there is a Steyr 640 preserved in a military base in Lovech(I happen to work 30 km. away from it).While it is not easy to get access there-June 1st is coming, so the base might be open for the public.If so-I'll be there to see the original. Then I'll see what can be done. I still feel like Breda 32. Maybe I'll try to have all 3 builds finished within this campaign. And-of course- all in Bulgarian livery. I took measurements from the Steyr 640 kit.It is true that the bonet is not straight with regard to windshield's pane-I measured an angle of 86.4 degree. 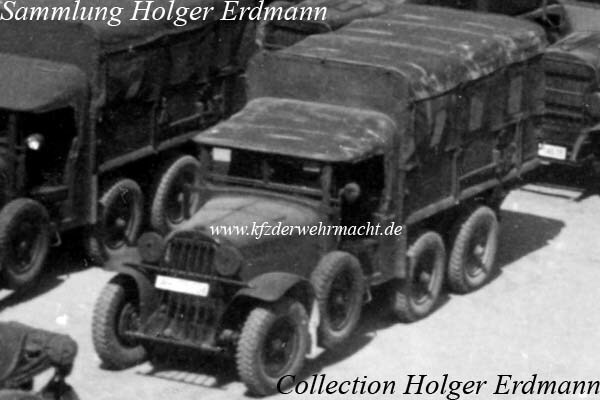 I'll look at the other refference pictures of Steyr 640 I have. It also looks like the fenders are wrong too. Note the space between the tyre and fender on the images and compare to the kit. Then look at the bar that runs to the top of the fender is about 1/3rd from the top in the real thing, but 2/5th's down on the model due to the too low hood. The bar appears to be higher than the seat in the cab in your second pic, but well below on the model. All indicating the fenders are undersize too. Looks like you are also right,Peter. That resin kit is one of only 2 options for building the vehicle.The other is a vacuum-formed conversion, that needs Tamiya's Krupp Protze as a base...accuracy-wise pretty questionable proposal. Maybe someday some plastic company will kit the Steyr... but I cannot wait that long. I'll go for it and I'll undertake whatever surgery is necessary (and feasible) to make it look right.